Hannah's dancing career, a key part of her identity, is at an end. Deprived of something so important to her, she is one again struggling not just with the physical effects of MS, but with the depression that has plagued her all her life. Chirp, Rachel, and their father fight to maintain a sense of balance and security through all the devastating changes that follow. We follow the story through Chirp's eyes, and Chirp is an intelligent child, quirky and independent to a point, but very aware of her need for her parents. She and her sister, and her friends Dawn and Joey, are living what I think of as a normal childhood, but which young parents today may find alarming. They roam not the neighborhood but the area, on foot or on their bikes, with the major restriction being that they be home for supper. 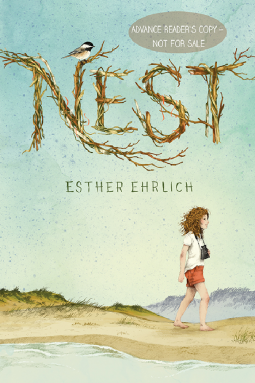 I loved spending the time with Chirp, as she navigates the sometimes tricky waters of school, and of her own family's difficult and sometimes frightening changes. Recommended, especially but not only for the intended younger age group.